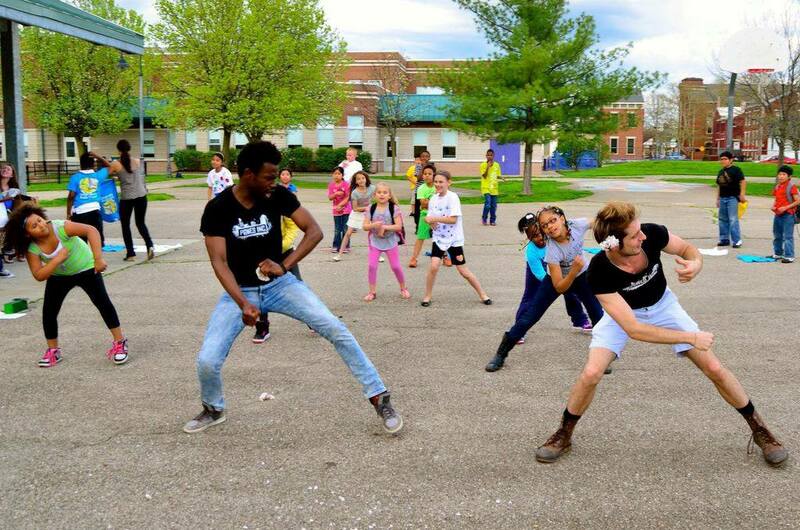 Youth­ Focused | Pones Inc.
Pones is committed to providing arts education to youth of all ages and experience levels. Students participating in our hands-on, active, and creative classes have the opportunity to absorb and retain knowledge in a new and exciting way. Through arts education, students can improve their presentation abilities, increase collaboration with others, develop creative problem-solving capabilities, and gain confidence in themselves. Also, non-performers and experienced dancers alike will benefit from the physical fitness of dance and learn how to productively focus their energy. Furthermore, Pones’ youth focused programs include social emotional learning (SEL) outcomes, such as setting and achieving positive goals, and feeling and showing empathy to each other, which benefit every participant in the program. 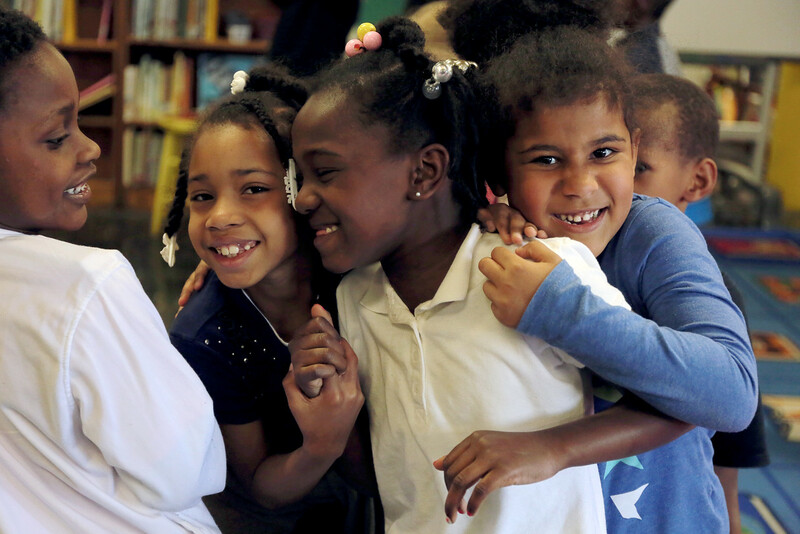 We offer a rich variety of programs, such as in-school artist residencies, after-school enrichment, assembly presentations, and unique arts integration classes. These classes are excellent choices for small or large groups, clubs, community centers, library events, in-school field trips, indoor or outdoor activities, and special events. Our current partnerships include: the Cincinnati Arts Association, The Carnegie, City Gospel, Interfaith Hospitality Network, Cincinnati Public Schools, Covington Independent Schools, UpSpring, Children’s Home of Cincinnati, Hospice of Cincinnati, Children’s Meeting House, Cincinnati VA Medical Center, Twin Towers Senior Living Community, and local libraries. We all have stories – good, bad, and everything in between – but the common thread with our stories is that they define us. Through storytelling and movement, we will explore what it is to bring our stories to life in a theatrical setting. No writing or dance experience necessary—just a willingness to share and explore movement. Over the course of 8 weeks, students will write their own stories, fiction or nonfiction, and turn those stories into movement storytelling. Example: Week 1: Brainstorm about story potentials through movement and writing. Week 2: Solidify story ideas and begin crafting an outline. Week 3: Write out the story. Week 4: Finalize stories and share with other students. Weeks 5-7: Start putting together the movement version of the stories. Week 8: Review stories and perform for the class, and potentially family and friends. What do you call an alligator wearing a vest? An investigator! In this class, we will do just that – investigate animals based on how they move. Over this 10-week course, we’ll explore the different animal classifications in a dance performance of the animal kingdom. Students will explore and learn about each set of animals. From the page to the stage, the students will understand each grouping both mentally and physically. 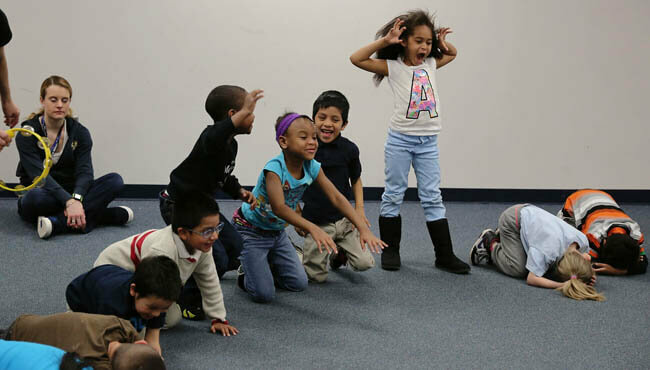 The class will culminate in a group created dance inspired by the animals within each classification. Example: Week 1: Intro and Protozoa/Flatworms. Week 2: Review and Echinoderms/Molluscs. Week 3: Review and Arthropods. Week 4: Review and Reptiles. Weeks 5: Review and Fish. Week 6: Review and Amphibians. Week 7: Review and Birds. Week 8: Review and Mammals. Week 9: Review. Week 10: Review and perform for an audience of family and friends. We use hip hop as a tool to discuss and discover how empowerment and respect are valuable parts of being a young woman. How do these ideas go together? Hip hop is all about respect and we will focus on celebrating womanhood, each other, and lifting each other up versus tearing others down. Example: Each week we will work with a different theme/topic, for example: building up others. As we talk about supporting one another, we will employ exercises such as imagining you are mentoring someone younger than you or playing the ‘Paper on the Back’ exercise. We will then start to build a dance about these compliments, using about the ideas of a ‘build’ or group pose in dance and brainstorming some poses that they could build upon as a group for the dance. 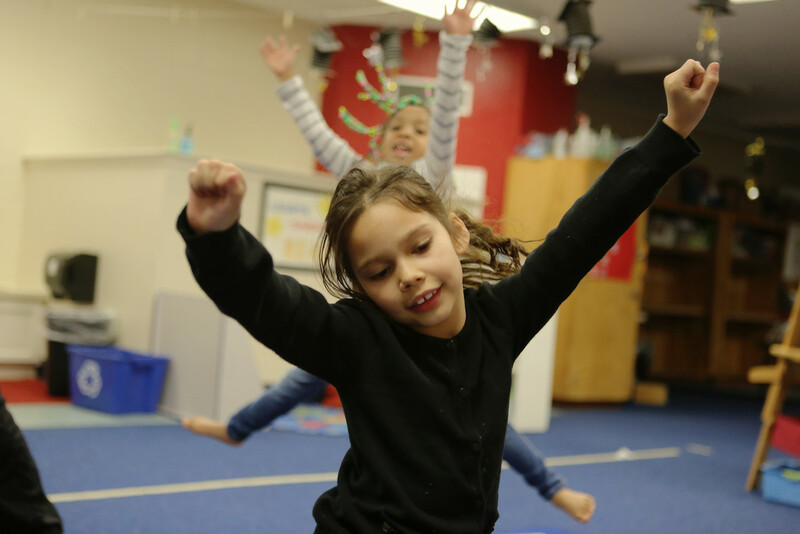 Combine arts and humanities with core content in an exciting dance workshop that will inspire students to take an active role in their own learning while engaging in aligned, standards-based activities. Perfect for the kinesthetic learner, this workshop helps to put ideas in the body and; therefore, cement them in the mind. This program is arts integration at its best and can be aligned and tailored to any grade level and content. Workshops offer students the opportunity to experience grade-appropriate curriculum in a fun, kinesthetic, and engaging way. 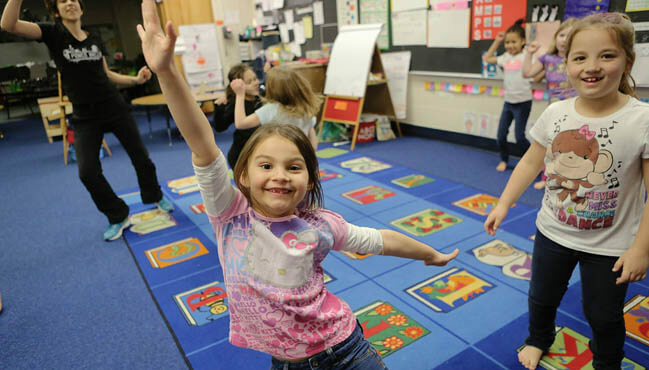 Core Creativity familiarizes students with key dance elements while igniting their imagination, and interacting through activities involving critical thinking and movement. This workshop is designed to reinforce learning and reflect upon student knowledge. Examples: Students could physically experience what it might feel like to become the water cycle and see what evaporation, condensation, precipitation, transpiration, infiltration, and collection might look like if it were a dance. Once students feel these movements in their own bodies, they may better understand how the water cycle works and remember this information for years to come. Students may learn to count by 5s and 10s while learning about tap rhythms, beat, syncopation, and syllables. NOTE: CORE CREATIVITY REQUIRES COMMUNICATION FROM ABOUT WHICH CURRICULUM THE TEACHER WOULD LIKE TO INTEGRATE PRIOR TO THE STUDENT WORKSHOP. Dance 101 is a workshop for everyone – from novice to advanced – and no special shoes are required. Students can explore various styles of recreational, cultural, and social dance with this introductory course to the basic terms, steps, and concepts of each style. This workshop can be a sample of different dance styles or focus on any style of dance,, such as: hip hop, ballet, salsa, or African. Please let us know preference when ordering program. 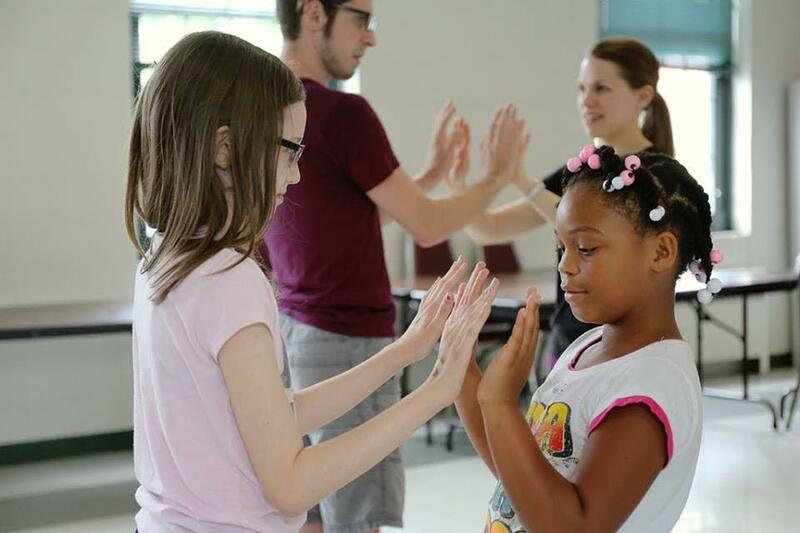 Students will learn how to use the basic elements of dance (Body, Energy, Space and Time) to communicate an environment and culture through non-verbal movements. They will look at the world in a new way, via the lens of dance in cultures from around the globe through original and learned choreography. Think globally and encourage cultural empathy. Choose how their body will represent the landscapes, objects, or characters needed to tell a story using dance. Learn dances from around the globe, such as, the Kakilambe from Guinea West Africa, Salsa from Cuba, and Bollywood from Mumbai. While Dancing through the Ages students will explore various styles of recreational, cultural, and social dance from 1920s swing, 1950s sock hop, 1970s disco, and 1990s hip hop. Students also create a visual art project timeline, while learning about the events of the Time periods they are discussing (ranging from women’s suffrage or the premiere of Star Wars). NOTE: This workshop can be a survey of different dance styles or focus on any time period or ideas. Please let us know preference when ordering the program. Example: Students will start out the class learning about the decade (1920: Women Granted the Right to Vote in U.S, 1924: First Olympic Winter Games, 1927: Babe Ruth makes Home Run Record). They will create a visual timeline of pictures and their own drawings and also explore the style and culture of the time period. Lastly, the students would start to learn the choreography. 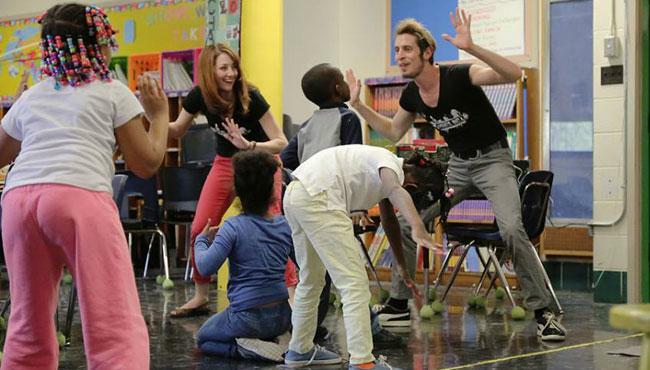 Students are transformed into performance artists through a fun and exciting workshop led by professionals. They will engage their creative sides and think critically about issues and topics relevant to their own lives while creating, rehearsing, and performing an original piece all their own. How to stand up for what they believe in / become an activist. Students will perform their work as empowered individuals, and create something completely unique, meaningful, and fun. Example: A class of eighth grade students voices a list of issues that are significant to them: acceptance, recycling, college, sports, and school uniforms. Collectively, they select ‘sports’ as the topic to focus on for their production. Specifically, they have noticed that extracurricular sports are too expensive to participate in once travel costs, uniforms, equipment, and fees have been calculated. They investigate ideas that will make sports more affordable so that everyone who wants to participate is able to do so. In small groups they utilize provided composition worksheets to guide their examination of how to create positive change in sports. The students are challenged to funnel their discussion into action by creating a piece that uses multiple art forms – theatre, dance, spoken word, visual arts – to express their ideas. Students perform their original work for their peers at the end of the workshop.